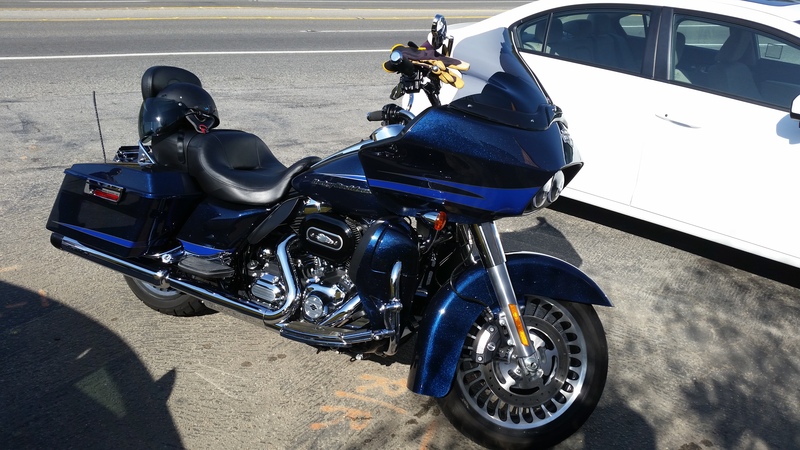 One of my favorite things to do (when I’m not processing orders and making soap) is for my husband and I to take our motorcycle out for a ride. 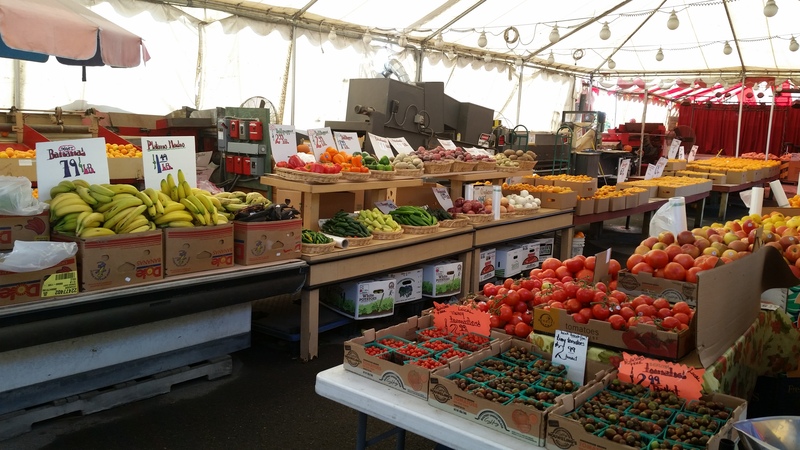 We love winding our way up the highways toward the coast, stopping at various road-side produce stands for a cold drink and fresh fruits and veggies. 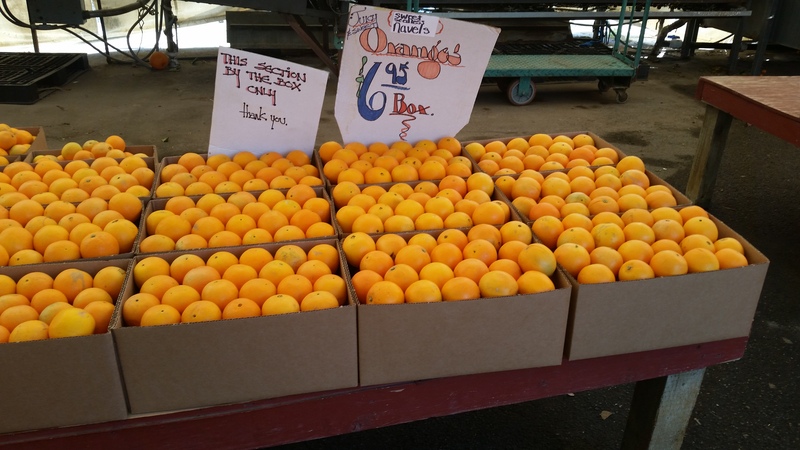 One of the best rides is through the orchards of Santa Paula, CA headed toward Ventura, Carpenteria and Santa Barbara. While everyone else seems to be buried in snow, here in Southern California we are averaging 10-15 degrees warmer than average temperatures bringing Spring-like weather in the middle of winter. Everything is already blooming and I can honestly say driving through orange orchards is one of the most wonderful experiences for my husband and I. 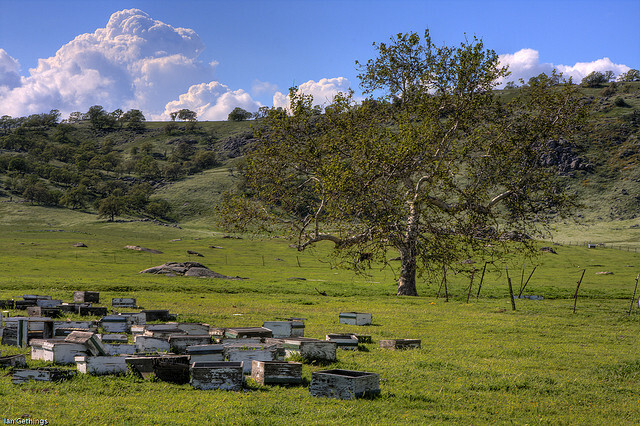 A pleasant breeze blows across the valley with a light, fragrant smell of orange blossoms while honey bees dutifully go from tree to tree pollinating the entire valley. 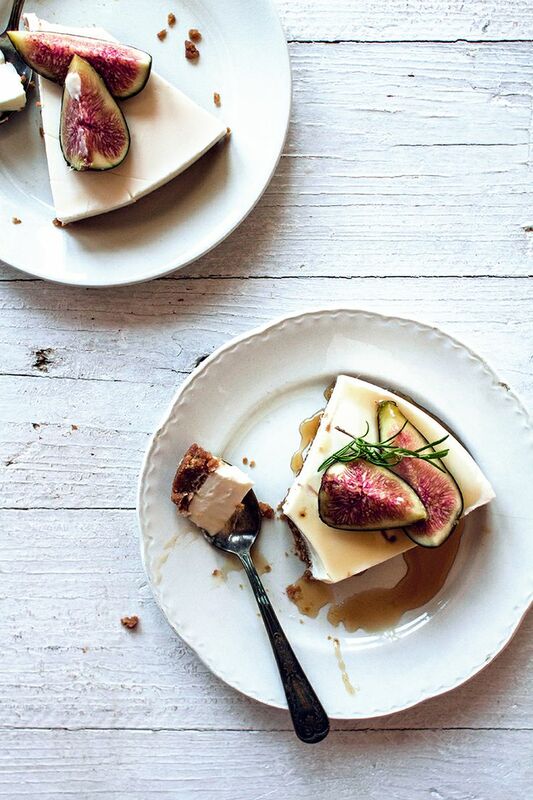 This is the inspiration for our Orange Blossom Honey Soap! It has a warm floral scent from the wonderful aroma of the orange blossom flower melding with honey and is a distinctly Southern California blend. 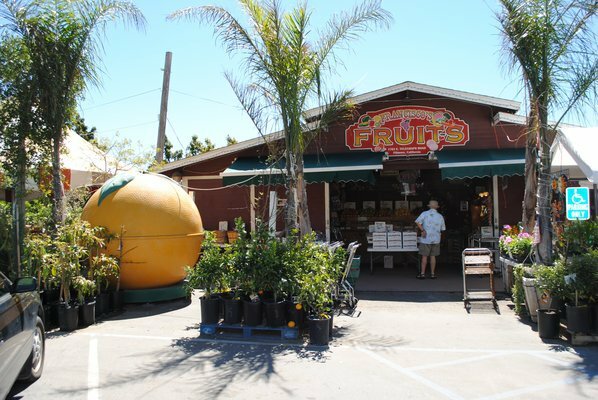 One of our favorite stops along highway 126 toward Ventura is Francisco’s Fruit Market. 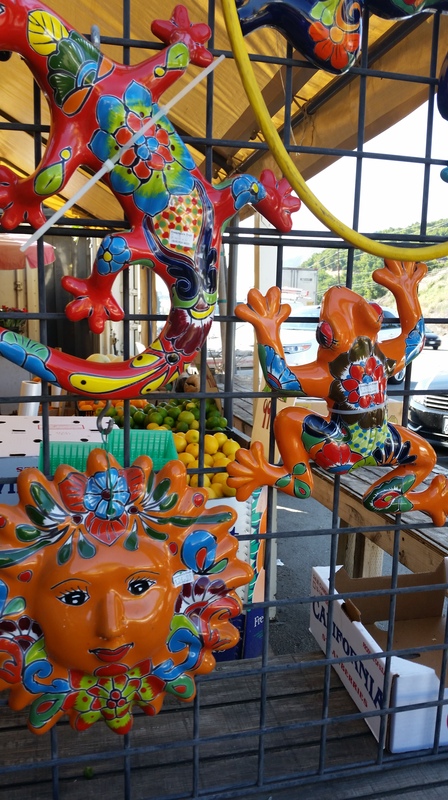 Adorned in brightly painted Mexican pottery, Francisco’s fruits offers fresh fruit, veggies, nuts, jerky, olives, honey, and much more. 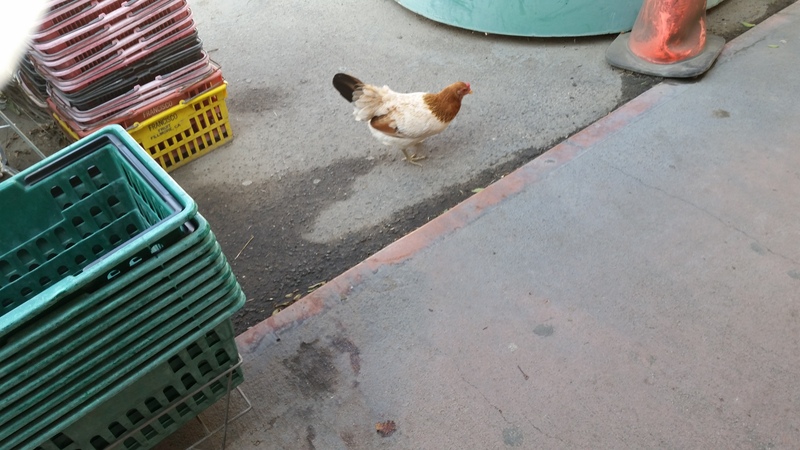 You are even likely to find a rooster or two lazily wandering the grounds in search of a dropped peanut or seed. 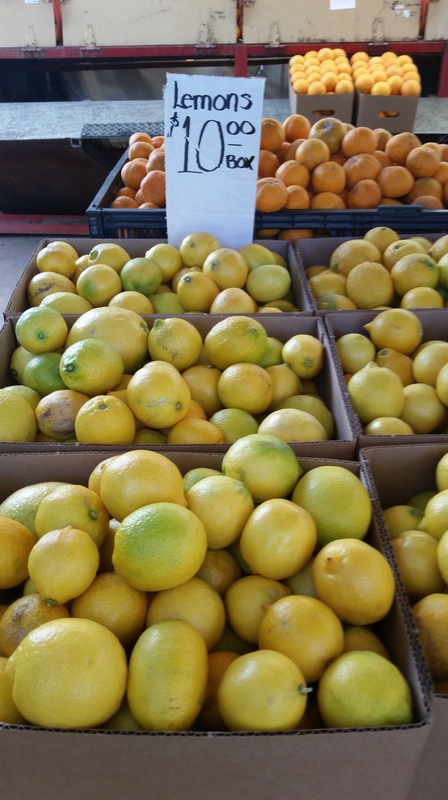 Many of the fresh ingredients and honeys used in our soaps have come from Fransisco’s. Pistachio’s are ready for our “Nuts from the Orchard” Soap bar! This place has it all. Cooking and soaping ingredients. Banana’s for facials are awesome! 1. Mash the banana, add the honey, oats and some water to get a good consistency, use your own judgment. 2. Spread the banana mix on to a damp face and neck, put cucumber slices on your eyelids and relax for 15 to 20 minutes. 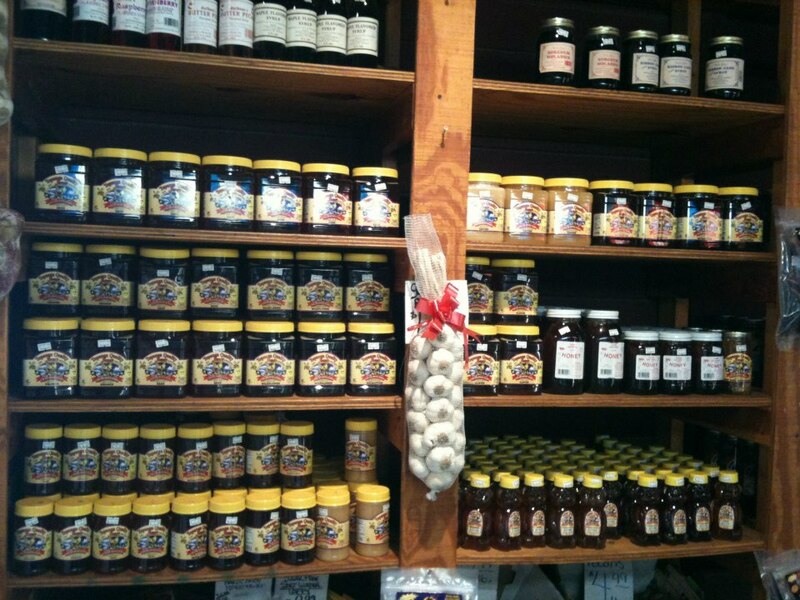 Organic local honey in a variety of flavors. We love the orange blossom! We love using locally grown ingredients in our soap making and cooking. Try to find your local growers. It’s worth the effort! We are starting it! We are making the commitment to the best year ever 2015. To start off the year on a positive note we have started our blog. 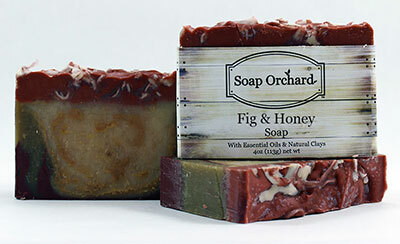 A place to share what is going on with us and Soap Orchard. Hopefully you enjoy seeing what we are creating in the shop, learning about the benefits of our natural ingredients and having a place for your comments and suggestions – all in one place. So with no further ado, we’d like to start with a topic near to our hearts… Cabernet Wine for Valentine’s Day. This soap was inspired by the wonderful Cabernet wines and olive oils we get from Solvang in the California Santa Ynez Valley. Next time you are in the valley take a Stagecoach wine tour and try the wonderful wines there from some of the best. Bella Cavalli, Stanford and Gainey just to name a few. You wont be disappointed! 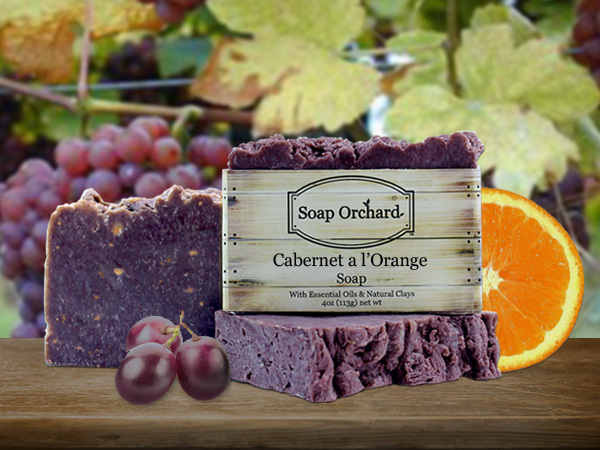 We specially handcrafted our Cabernet wine soap using wine and olive oils from the Santa Ynez vineyards and of course orange peels from our local growers. Orange Essential Oil and peel which have anti-inflammatory and antiseptic properties. It helps relax muscles and its scent is wonderful at alleviating anxiety, anger and depression. 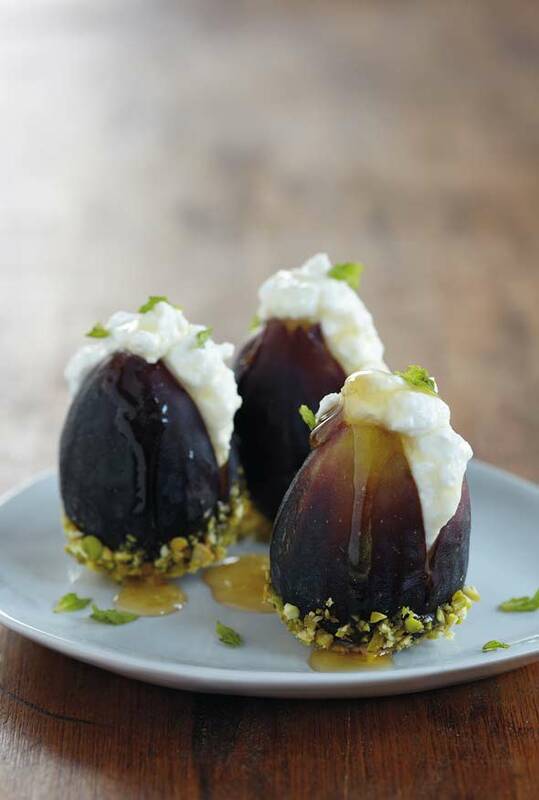 Grape Seed Oil is extracted from the seeds of the grapes used to make wine. 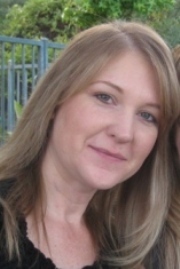 It is unscented and is wonderful for sensitive skin. It has a high absorption rate and does not leave your skin oily. Wonderful for people with allergies to other types of moisturizers. Along with the amazing skin benefits of the essential oils you will get to enjoy the abundance of antioxidants wine brings to the skin! *antioxidants are substances that may protect cells from the damage caused by unstable molecules known as free radicals. Free radical damage may lead to cancer. Ingredients: Sapponified oils of Olea europaea (Olive) Oil, Cocos nucifera (Coconut) Oil, Helianthus annuus (Sunflower) Seed Oil, Elais oleifera (Palm) Oil, Theobroma cacao (Cocoa) Seed Butter, Ricinis communis (Castor) Seed Oil, Butyrospermum parkii (Shea) Fruit Butter. Vitis vinifera (Grape) Seed Oil, Cabernet Wine, Citrus aurantium (Orange) Essential Oil and peel, Natural pigments, Rosmarinus officinalis (Rosemary) Extract.